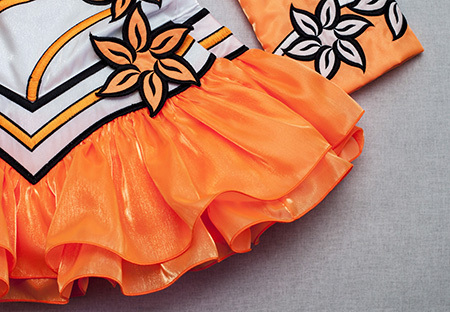 White twinkle satin bodice with fluoro orange and black asymmetrical embroidery with flower applique details. 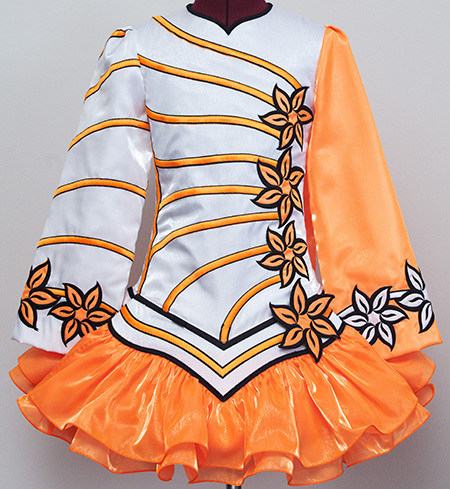 One white and one fluoro orange twinkle satin sleeves with matching embroidery and applique designs. Soft style shawl constructed from fluoro orange twinkle satin with white floral cut-work lace overlay. 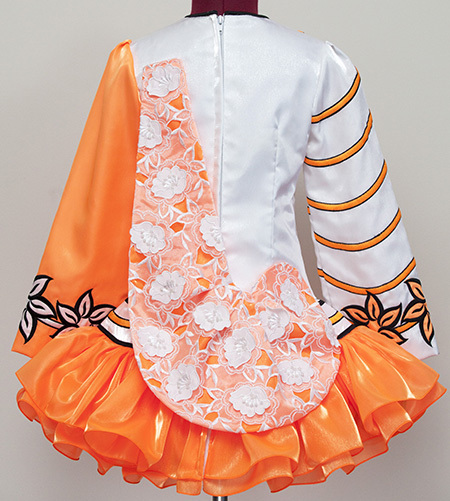 Orange and white cotton gingham underskirt lining.